Pharmacy DME Billing Services – MedNet Inc. Durable Medical Equipment, typically abbreviated as DME, can be a very lucrative addition to a Pharmacy. Providing DME will increase revenue, enhance patient relationship and provides additional non-traditional Pharmacy side revenue opportunities. MedNet Billing Services should be your first choice for assistance with the DME side of your Pharmacy. MedNet understands the nuances and difficulties of managing the day to day billing operations within a DME business. 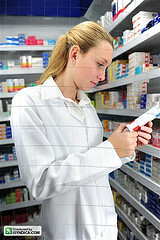 This makes MedNet’s staff uniquely qualified to manage your Pharmacy through the process of offering DME supplies within the Pharmacy. Durable medical equipment includes all sorts of medical supplies, from hospital beds to electric wheelchairs to basic braces. Your Pharmacy referral sources and its type of patient base will help determine what types of DME programs you will want to participate in. Regardless, rest assured dispensing relevant DME products will help you and your patient equally. The last thing a patient with an injury requiring mobility assistance or DME supplies wants to do is drive to another location to pick up their equipment or to wait at home for a medical device company to deliver necessary supplies. By dispensing durable medical equipment you will see an immediate increase in patient satisfaction and an immediate increase in your Pharmacy’s revenues. With the proliferation of the Medicare Competitive Bid programs and marriage between medical services and insurance in such a state of uncertainty, you really can’t afford not to participate in the benefits that providing DME will bring to the Pharmacy and your patients. Having the ability to dispense durable medical equipment to Medicare and Commercial Insurance patients will “fill a need” and creates an additional revenue stream without having to add long term expenses. As a local Pharmacy, you will only see so many patients and as insurance companies continue to reduce reimbursement rates, per patient revenue will continue to decrease. Durable medical equipment dispensing will allow you to offset some or all of that lost revenue and in some types of practices can dramatically increase practice revenues. Our team will handle your set-up process professionally, efficiently and economically. Call (800) 840-9966 now to speak with one of our professional representatives. REASONS YOU SHOULD BE A DME PROVIDER! Providing DME creates a wide range of revenue generating opportunities for your Pharmacy. It allows you to dispense Durable Medical Equipment to patients and collect reimbursements from Medicare and Commercial Insurance. Providing diabetic supplies to your existing diabetic patients provides an additional revenue stream without adding additional patients or patient support costs. Lastly, you have the opportunity to become a DME wholesaler and / or retailer. Patient satisfaction is directly tied to the level of convenience they experience during an appointment. The last thing a patient that is experiencing an injury or symptoms wants to do is visit multiple facilities to complete diagnosis and treatment. By dispensing durable medical equipment at your location during the patient visit, you reduce patient stress. Adding convenience and reducing visit time requirements equals better care and increased patient satisfaction. As a Pharmacy, your business is limited by many factors… Geography, socioeconomics, referrals and insurance company policies are just a few limiting factors. Providing DME creates unlimited business opportunities and alters the effect of limiting factors on your Pharmacy business. There are many successful business models in the DME field. A few years ago, Liberty Medical sold 900,000 patients to Medco for $1.5 Billion. Medicare’s competitive bid program and its exemption (see Accreditation Exemption Facts page) to the small Pharmacies has created a unique time in the industry. Pharmacies can now capitalize on the opportunity to provide DME supplies to its patients, while not being subject to the rigors of competitive bid program. Under the competitive bid program, patients will be forced to deal with the uncertainty of a few suppliers located somewhere in the country shipping them all of their DME supplies. The alternative… a visit to the local Pharmacy where patients can deal with someone they know and trust… What would you do?